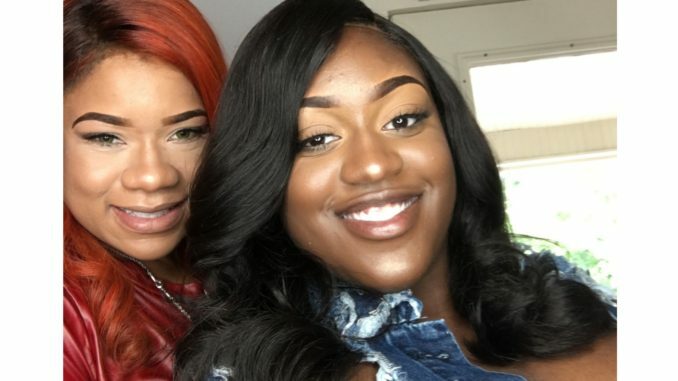 Bring It star and former Dancing Dolls captain Kayla and her mom Tina announced Tina recently gave birth to a handsome baby boy on August 3rd, but he passed away 2 days later. HE HAS ARRIVED baby Khaos Kareem Vaughn!!! And nope Ian sharing no pics till I see him in person on Monday!! Yes I’m selfish but thanks for all your prayers mama said they both doing good ? Kayla announced the birth, then the death Baby Khaos Kareem Vaughn just hours after he passed in an emotional video. Our family’s guardian angel ??! I never held you, kissed you, seen you open your eyes, or anything but I know you my angel and god got something special in mind for you!!! See the videos on the next page. God bless you,Tina and family! Ur in my prayers! Stay up!